We were honored to be part of making Health Carousel's 2018 Milestone Gala a beautiful and inspired evening. The theme was masquerade and guests arrived in opulent gowns, strange and beautiful masks, bold colors and lots of sparkle. The blue, purple and black of the peacock feather were the central color palette. 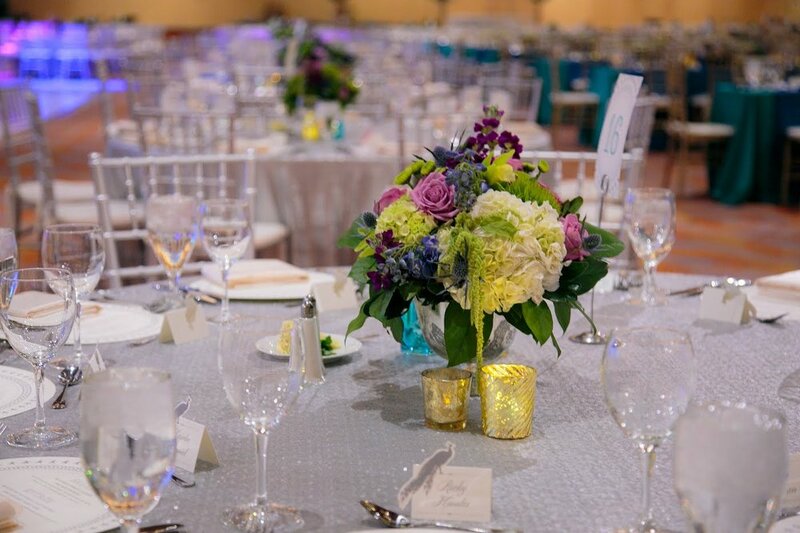 Silver and gold tablecloths, linen white furniture and cushions tied to elegant chiavari chairs provided the perfect canvas for bright, textured floral designs. 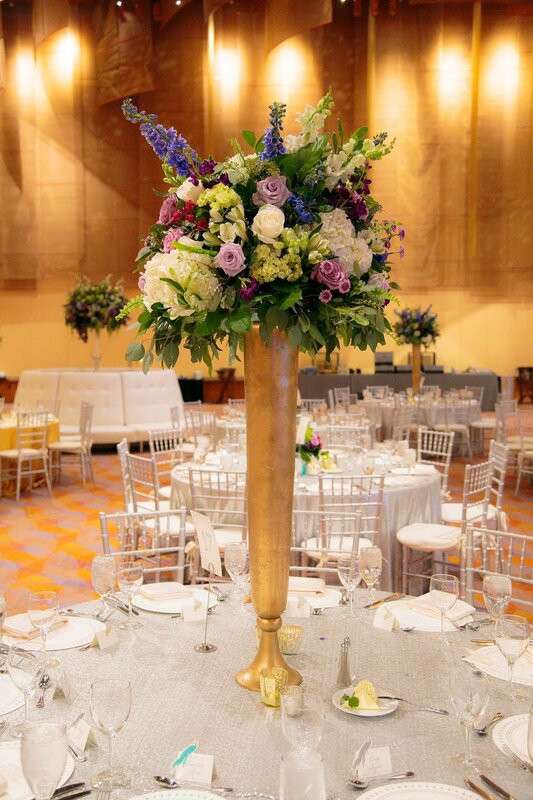 We created a mix of short and tall floral arrangements in gilt and glass vessels and bowls. Sea blue delphinium and hydrangea were tucked beside dianthus, stock, tulips and roses. 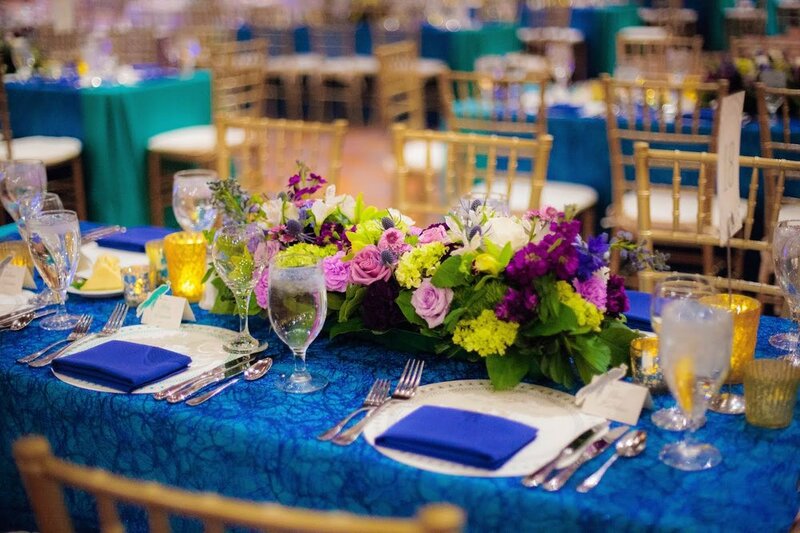 Bright green mixed with deep forest green, lavender and bold pinks made for a festive and elegant event.